A little bit of redness on the face, bumps that develop within that redness after a few hours in the sun, or general itchiness or discomfort when your skin on your face becomes dry or inflamed—these are common symptoms that just about everyone experiences time to time. For some, however, these symptoms become the norm and will develop and intensify with little to no rhyme or reason. 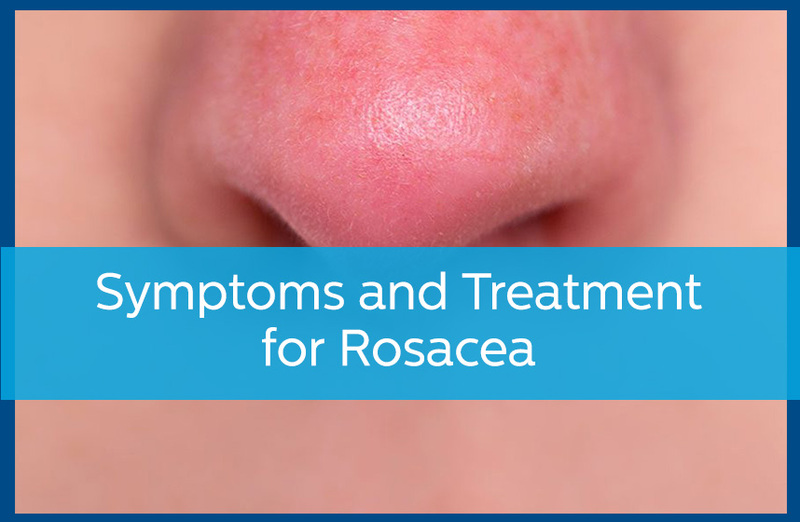 When this occurs, it may be symptoms of rosacea, a chronic skin disease that causes redness and small bumps that may look like acne, but are actually the result of something much more complicated. The most common symptoms of rosacea is persistent redness on the cheeks, nose, chin, and forehead. In some cases, the color can appear on your neck, chest, head, and even on your ears. However, the redness is just the beginning. In severe cases, rosacea can even cause difficulty with vision. It is common for rosacea symptoms to come and go. They may flare for several weeks, and then fade for a little while before eventually coming back. In addition, those who have light hair and skin, who have had severe acne, or who have smoked are more likely to develop rosacea. Women are also more likely to develop the condition than are men. The goal of treatment for rosacea is to reduce the severity of flare-ups, and to create longer periods of time in-between flares. To accomplish this your dermatologist may recommend a series of medications, which frequently come in the form of gels that are designed to reduce the dilation of the blood vessels and reduce inflammation in the skin. In severe cases, laser therapy or microdermabrasion may be recommended to provide additional support. If you are dealing with rosacea, then it is time to see your dermatologist to find out what treatment and support options are available for you. For more information, contact Avail Dermatology today at 770-251-5111 or schedule an appointment with us.